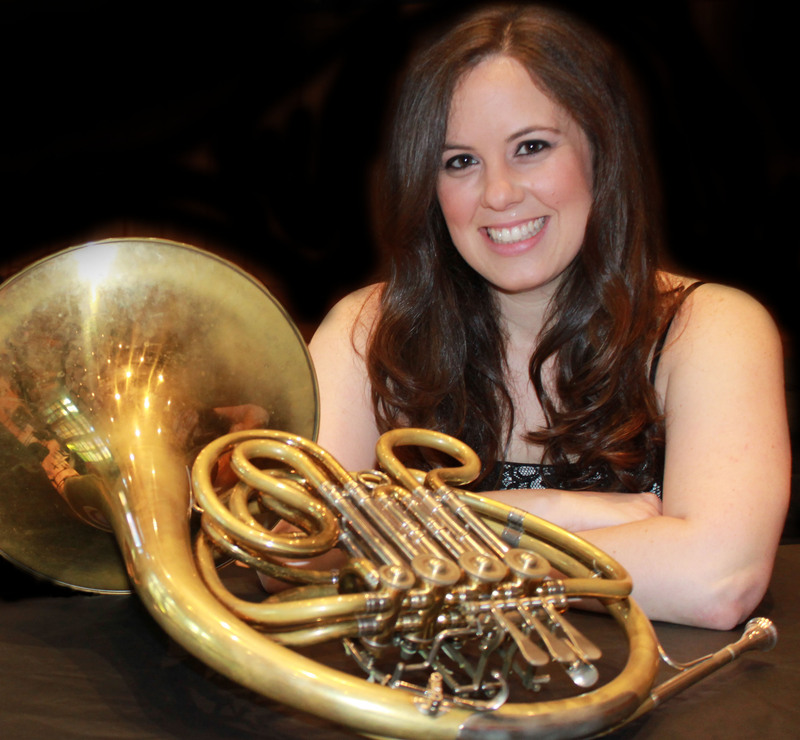 Hornist Katy Ambrose’s career reaches across many genres of music making. In recent seasons Ms. Ambrose has performed with ensembles such as the Philadelphia Orchestra, Opera Company of Philadelphia, Pennsylvania Ballet, Hawai’i Opera Theater, Chamber Music Honolulu, AIMS Festival Orchestra, Black Pearl Chamber Orchestra, Chamber Orchestra of Philadelphia and the Philly Pops! Outside of the classical setting she has also spent time in the recording studio as both a performer and producer. Recent recordings include Sir Wick, Cee Lo Green, Andrew Lipke and NFL Studios as well as performances in concert with Marvin Hamlisch, Rufus Wainwright and the Lincoln Center Jazz Orchestra. Ms. Ambrose is also active as a soloist and chamber musician. She has been hailed as “spectacular” by the Broad Street Review for her performance in the Choral Arts Society’s Benjamin Britten program. During the 2013-14 season she will be performing Schumann’s Konzertstücke with the Delaware Symphony Orchestra, in which she will be playing her sixth season as a member. Recent seasons saw her giving her international solo debut at the Edinburgh Easter Festival as well as performances abroad in Austria, Germany, London, Mexico and Korea. Ms. Ambrose holds degrees from the University of Michigan, Cincinnati Conservatory of Music and Yale University. She was the recipient of the William D. Revelli Award at U-M and the Henry and Lucy Moses Fellowship at Yale. Ms. Ambrose is especially interested in mentoring at-risk youth and has taught, written programs and curriculum for several programs including the Philadelphia Orchestra School Partnership Program, Delaware Symphony school program and the “El-Sistema” inspired programs Tune-Up, Philly and Play On, Philly! Beyond her musical activities, Ms. Ambrose is a yoga enthusiast and enjoys running and cooking.